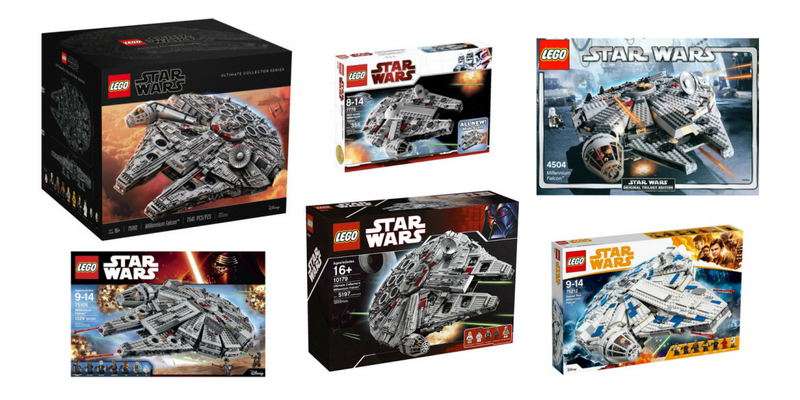 LEGO Star Wars Millennium Falcon Sets, Which is the Best? 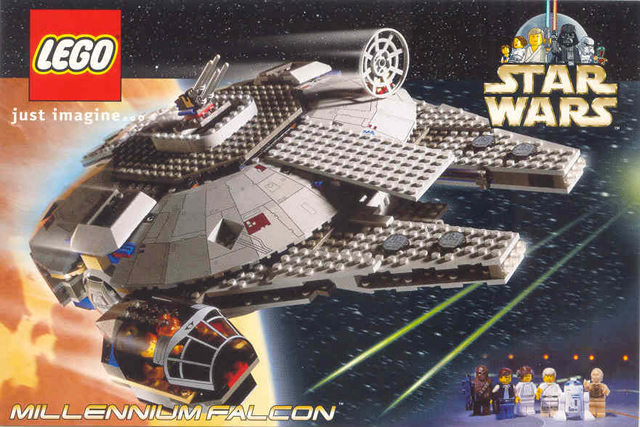 The Millennium Falcon has become an icon in the LEGO builder’s world since the release of the very first model in 2000. 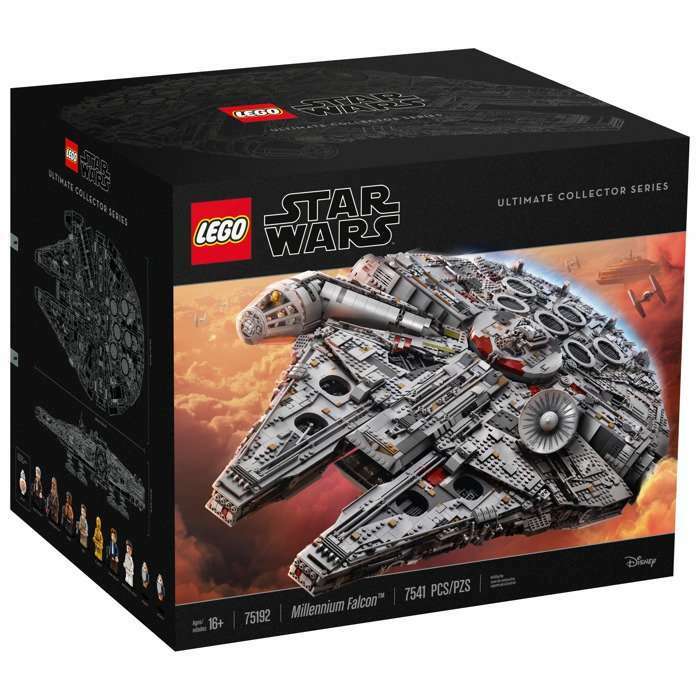 Fastforward eighteen years and there are over 8 different LEGO Star Wars Millennium Falcon sets (if you include all of the mini builds and Microfighters), with the largest and most prestigious being the UCS Millennium Falcon detailed by Ninja Brick, which was first available as a VIP pre-release in September, 2017. In this regard, we would like to enumerate all the Millennium Falcon models and compare them, so as to find out which model should be considered the best. 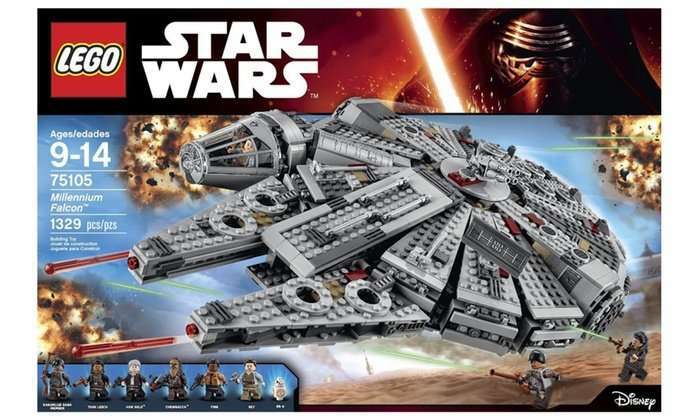 This could also help you decide which Millennium Falcon would be the perfect Christmas present for your child or AFOL (Adult Fan of Lego). This set was the very first Millennium Falcon ever made. It was released in 2000 as part of the LEGO Star Wars Classic line. It consists of 659 pieces and 6 Minifigures that were colored yellow, as was the classic minifigure mold color during that time. They were Han Solo, Chewbacca, Princess Leia, Luke Skywalker, R2D2, and C-3PO. It measured around 12” across and featured realistic details, secret compartments, two quad laser cannons, weapons, and a cockpit. This set was definitely the cream of the crop during those days. The escape pod (although no mention of it was made in the movies) provided a really nice touch. It even had a seat and dartboard table for Solo! This piece pioneered the legacy. This set stepped up a notch by adding more features and interior compartments. The triangular plates at the top of the ship could now be opened to see the interior. The starboard hatch lid could be pulled and they also added a boarding ramp for the heroes to get on board. They added a pilot’s seat in the cockpit and the escape port hatch was also modified, allowing the escape pod to pass through. The minifigures for this model were based on the Empire Strikes Back characters C-3PO, Chewbacca, Hans Solo, Princess Leia, and a Snowtrooper. The Snowtrooper used a heavy repeating blaster against our heroes. It consisted of 985 pieces and was definitely a really great set. It truly lived up to its name as the successor to the Millennium Falcon Star Wars classic line. This model has a whopping brick count of 5,195 pieces! 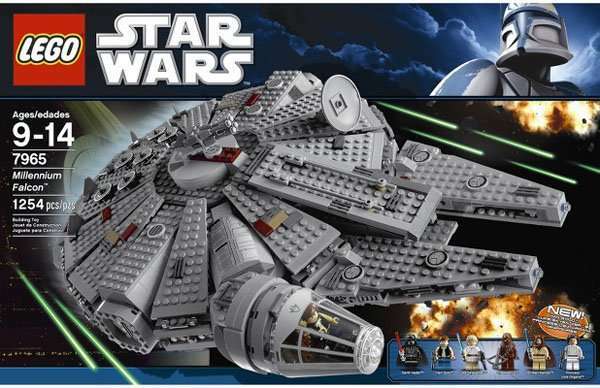 It truly is a collectible, all of the 10179 Millennium Falcons produced were sold out as of June 2010. This Falcon wouldn’t be able to fit on a center table or mantle, being almost 3 feet long and 2 feet wide! The model was built completely to minifigure scale and included the main hero characters from A New Hope. The landing gears were adjusted to provide a stable base and the Radar dish was elevated and could now rotate. Aside from this, the boarding ramp could be extended, top and bottom quad-laser turrets could now move in a rotating manner. The cockpit was also modified, allowing access to the minifigures. As with all of the Ultimate Collector Series sets this Millennium Flacon came with a display card with detailed ship specifications! This falcon is not big enough to support minifigs, yet it still sports high detail and advanced building methods. Composed of Layered plates rather than bricks, it only has a few moving parts. It was originally intended for display rather than for play. The only parts that move are the guns and the spinning radar dish. This set has printed round tiles at the rear of the ship and at the four patches of machinery. One disappointing feature is the cockpit (marked by a sticker). Released in August 2009 for the 10th Star Wars anniversary line, it only consists of 356 pieces and no minifigures. It is a little disheartening, seeing as how its predecessor surpassed all boundaries in size and build structure during that time. This set was a much better model than the 7778 Millennium Falcon. 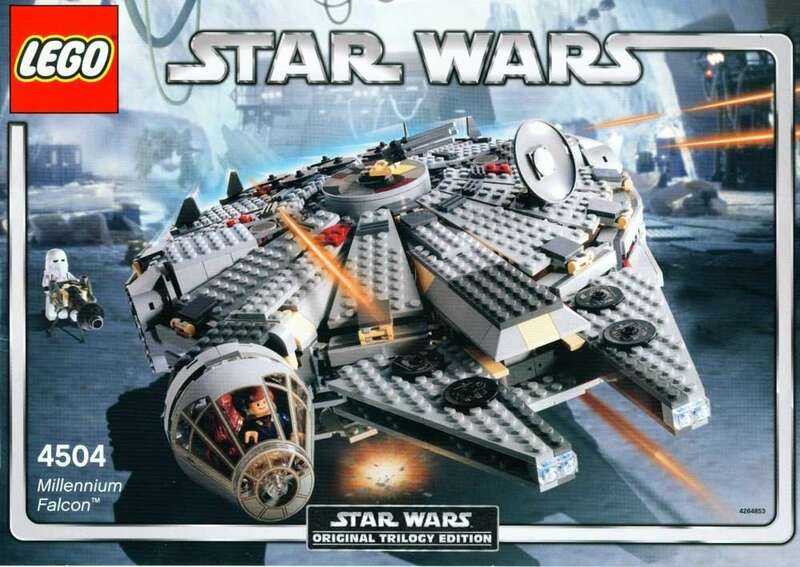 Released in July 2011, this Falcon consisted of 1,254 pieces and had additional details that were not on the previous versions. It has hull plates that could be opened to reveal a detailed interior, rotating quad laser cannons, twin flick missiles, and a detachable cockpit cover. The other accessories include a cup, chairs, control panels, and game board. This Millennium Falcon was able to redeem itself from the limited features of the previous one. Aside from Hans Solo, Princess Leia, and Luke Skywalker, additional Minifigures were also added with this set, Obi-Wan Kenobi and Darth Vader were introduced to make imaginary roleplay more interesting. This set features a more streamlined and detailed design, consisting of a detachable cockpit with space for 2 minifigs, rotating laser turrets with hatch and additional space for a minifigure. It also has dual spring-loaded shooters, a sensor dish ramp, and an entrance hatch. The hull plates could be opened to reveal more updates such as the main hold with seating area and holo-chess board, secret compartments, a better hyperdrive, extra boxes and cables, and storage for ammo. This Millenium Falcon was based on The Force Awakens version, sporting a new rectangular sensor dish and included new characters. 7 Minifigures were included in this set, including Hans Solo (old man), Chewbacca, Finn, Rey, BB-8 and 2 bad guys in Tasu Leech, a Kanjiklub gang member. It consists of 1329 pieces and was released in 2015. This set has the same dimensions of the 2007 model yet has 2,000 additional pieces due to its intricate design. It has a clean-cut shape and is certainly more accurate. 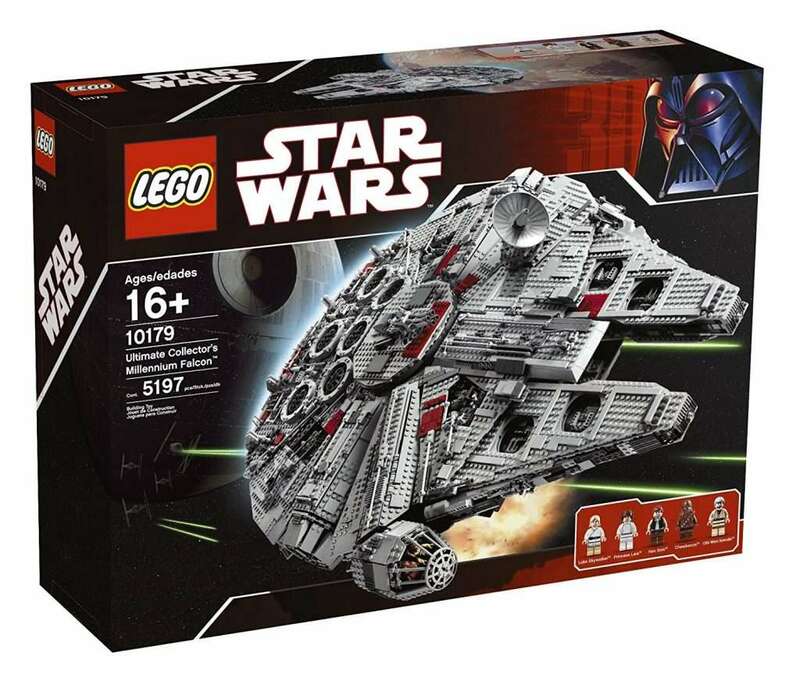 Curved pieces were introduced, overcoming the blocky look of the previous UCS model. Details are definitely more pronounced in this set. The upgrades are removable hull panels, a boarding ramp, a concealed blaster cannon, a new and improved four figure cockpit with a detachable canopy, 2 sensor dishes so that you can switch between the original & sequel trilogy versions, quad-laser cannons, and seven landing legs. The main hold of this set was also modified to include a seating area, a Dejarik game board, engineering station with a minifigure seat, a better engine room, more hidden compartments, 2 escape pod hatches, and an access ladder to the gunnery station. The gunnery station has a gunner’s seat and detachable hull panel with a rotating laser cannon. The underside also has another laser cannon. If you want to play the classic version, the four minifigures in this set are Han Solo (Bespin), Chewbacca, Princess Leia (Hoth), C-3PO and a buildable Mycock. An older Han Solo, Rey, Finn, BB-8 droid and two buildable Porgs for if you prefer the Episode VII/VIII versions. The weapons would include a blaster pistol, stud-firing bowcaster, and a small silver blaster, and another blaster rifle. Only two months after it was released in November 2017, all available 75192 sets were sold out. This set is the latest Falcon to be released and is based on the film Solo: A Star Wars Story. It contains around 1,400 pieces and the 7 minifigures included in this set are Han Solo, Chewbacca, Qi’ra, Lando Calrissian, a Kessel Operations droid, DD-DB and Quay Tolsite. It has a cockpit (good for 2 minifigs) with detachable canopy, spring-loaded shooters, a dish ramp, rotating laser turrets with 2 gunner seats, and a detachable escape craft. The interior included a cargo area with couch and a hologame table, bar, bunk, missile compartment, and a hyperdrive (buildable) with repair tools. The weapons for the minifigures are 2 blaster pistols, a blaster rifle, and Lando’s blaster. Additional electrobinoculars were added to the accessories. 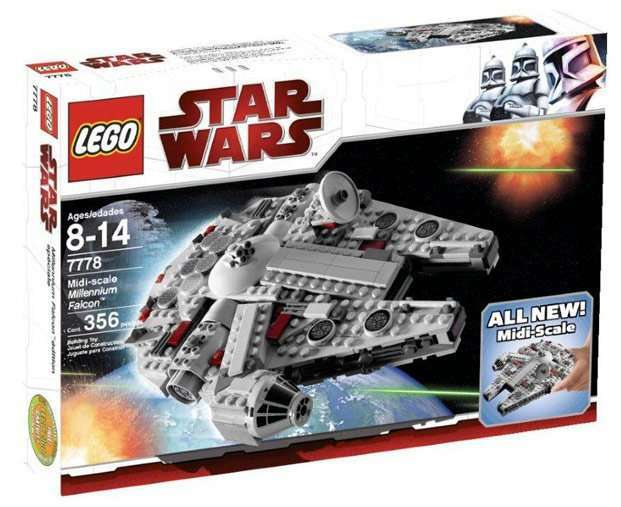 The set has a completely new image and is a nice addition to the LEGO Star Wars Millennium Falcon line. We have examined the different Millennium Falcons according to detailed structure, design, size, shape, and minifigure patterns and composition. 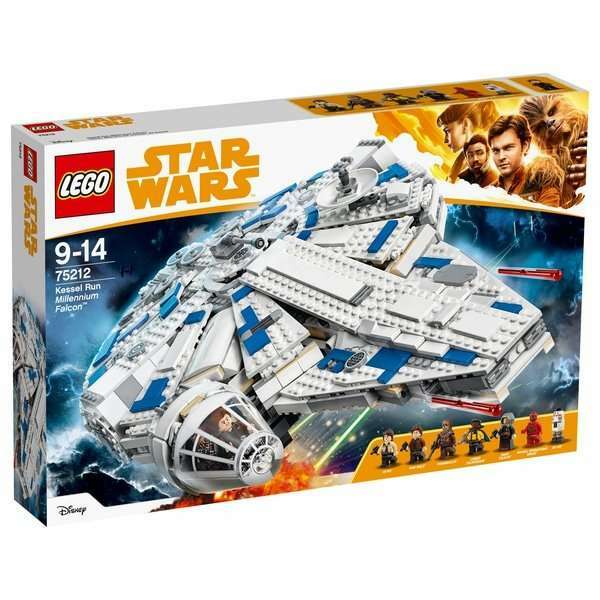 After summarising all of these sets, it is safe to assume that the detail award goes to 75192 Millennium Falcon, although the detailed prints of the Kessel Run are also nice to look at, being all white with distinctive blue patterns. The 75192 is also superior in size, build structure, and flexibility, being able to play the classic or newer versions. The minifigure award would probably be awarded to the Kessel Run minifigs. The prints are clearly more defined and detailed for imaginary role play.